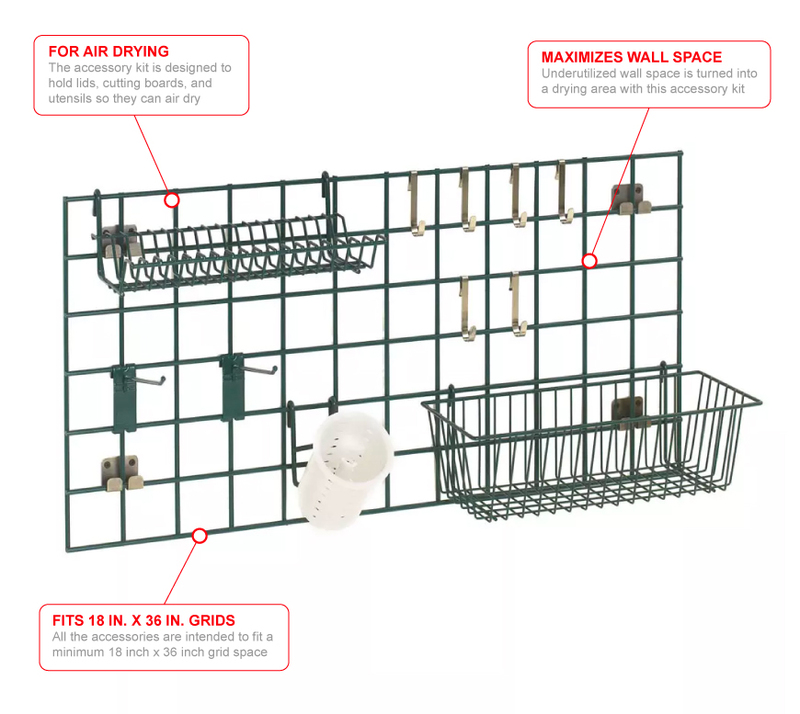 The Metro SWA1 SmartWall G3 accessory kit is designed to hang clean utensils, lids, and cutting boards so they can air dry. The unit is often mounted above sinks and near warewashers. 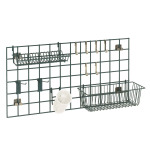 The clean equipment is held in a Microban™ wire basket, lid holder, or utensil cylinder. 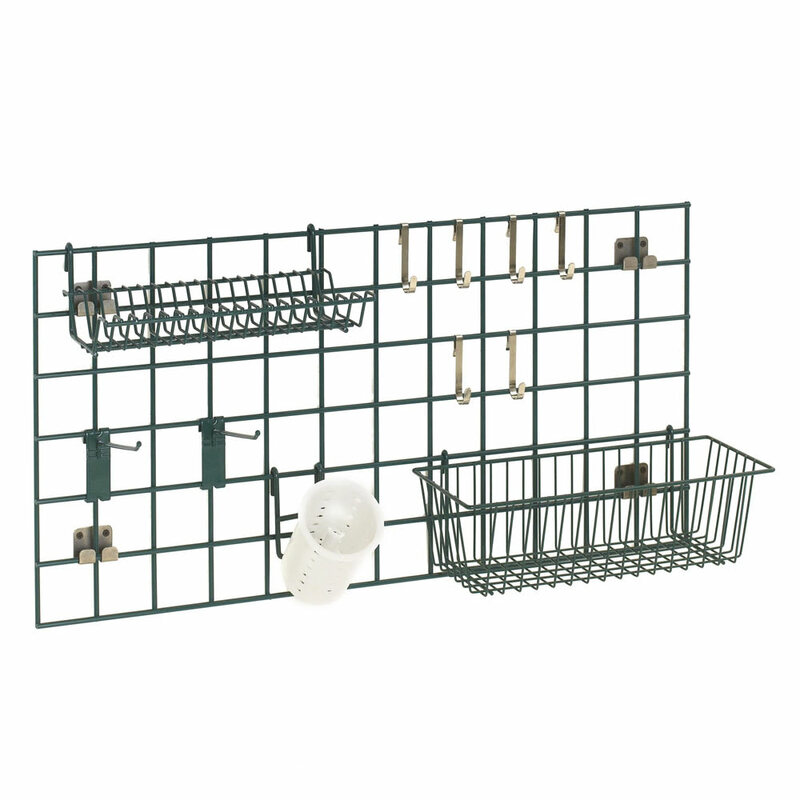 There are prong hooks, standard hooks, and a utensil cylinder mounting bracket included to hang the accessories on a grid. Grids measuring 18 inches by 36 inches are ideal for hanging the Metro SWA1 SmartWall G3 accessory kit.